I’ve decided recently that I don’t go to enough readings. I have no excuse. I live in New York City, literary capital of the English-speaking world. There are tons of opportunities to see great writers and I’m always seem to not hear about them on time or miss them or just plain pass them up. Well, no more. Here’s a list of readings I plan to go to in the next month. 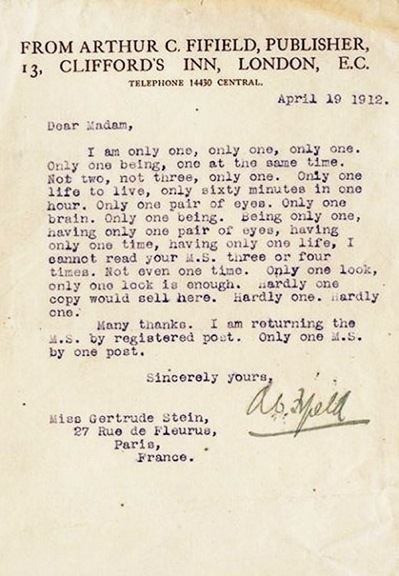 This is the most hilarious rejection letter I’ve ever read!